ISA, a leading manufacturer of refrigerated cabinets for ice cream and pastry, will feature new models of "smart" gelato display cases at Sigep from 19 - 23 January 2019 in Rimini, Italy. With IoT solutions from Telenor Connexion, Isa's new cases can connect to mobile networks to become part of the Internet of Things (IoT), which will help streamline maintenance processes and optimize performance. Now in its 40th year, Sigep is a world-renowned exhibition for artisan ice cream, pastries, confections and baked goods. This is where the cutting edge of technology and technique meets deeply-rooted culinary traditions. At this year's Sigep, ISA will present a new line of professional, connected gelato refrigerated display cabinets. With the addition of connectivity, ISA's smart cabinets become part of the IoT, taking the food service industry into the world of digitalization and automated processes. When it comes to the culinary arts, Italians are renowned for their skillful preparation and attention to detail. This is especially true when it comes to gelato, a style of ice cream which was first prepared by Italian chefs in the middle ages. ISA's connected cabinets enable owners to set warnings triggered by temperature variation and to schedule predictive maintenance as well as on-demand maintenance based on need. This functionality ensures the ISA cabinets are always working optimally, while reducing the cost of routine check-ups. Beyond simply tracking performance, these smart ISA display cabinets are built with computer vision and AI capabilities to help retailers assure their gelato is always displayed perfectly. Two cameras mounted inside the cabinet monitor the contents. The real-time video image is compared to pre-defined display parameters related to visual appeal and HCAAP safety standards. If the gelato on display is not up to standard, an alert is sent to the operator dashboard so changes can be made. Retailers can then track sales improvements based on the AI monitoring. Also attending the expo will be representatives of Telenor Connexion, who will be on hand in the ISA booth to share insights on how manufacturers can quickly and profitably rollout IoT solutions. 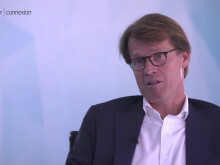 Telenor Connexion, headquartered in Stockholm, Sweden, is the dedicated Internet of Things (IoT) company within Telenor Group, one of the world’s largest mobile network operators. Global connectivity from Telenor Connexion enables the ISA cabinets to connect to mobile (cellular) networks in any market around the world. A custom backend solution built on the Telenor Connexion Managed IoT Cloud allows ISA's customers to remotely track and monitor status of the display cases. The data visualization dashboard is clear and easy to customize, including the setting of thresholds and automated triggers. Telenor Connexion works in conjunction with a wide partner ecosystem, including hardware suppliers and IT integrators, to provide their customers with an end-to-end support for IoT solutions. This complete service reduces complexity for customers, speeding time from concept to rollout and helping to ensure that a connected solution is built to scale. In the past, developing an IoT solution could require a substantial amount of time, money and technical know-how. This meant the IoT was only accessible by large companies with plenty of capital to invest up-front. Today, a number of forces are reducing that complexity, making plug-and-play IoT solutions accessible to a wider range of enterprises. With the managed cloud service from Telenor Connexion, manufacturers can skip the complexity of building their own solution from scratch. Based on Amazon Web Services building blocks, Managed IoT Cloud is well-tested and ready to scale a alongside a manufacturer’s needs. While gelato has deep roots in Italy, the love for this special style of ice cream has spread around the world. Across the world, gelaterias are only gaining in popularity. 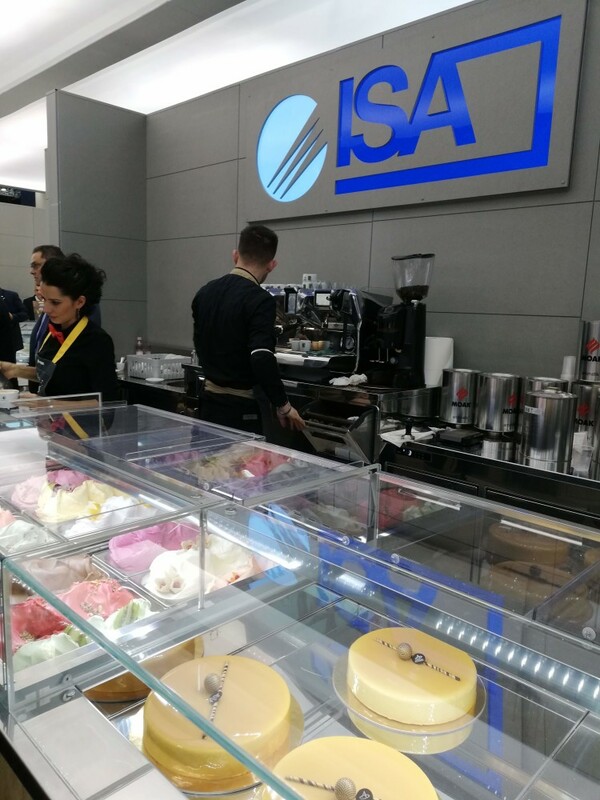 ISA serves this global market with the Italian craftsmanship of their gelato cabinets, strengthened with IoT connectivity that works out-of-box, anywhere in the world. 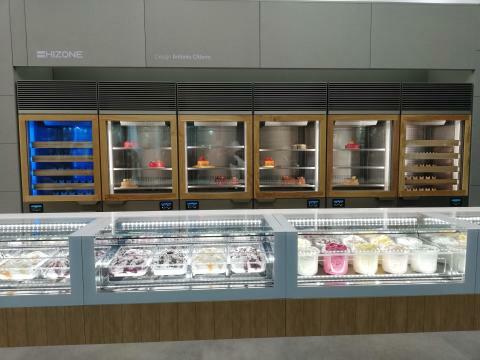 “The Telenor Connexion Global Connectivity solution supports ISA in our efforts to meet the global demand for gelato display cabinets. 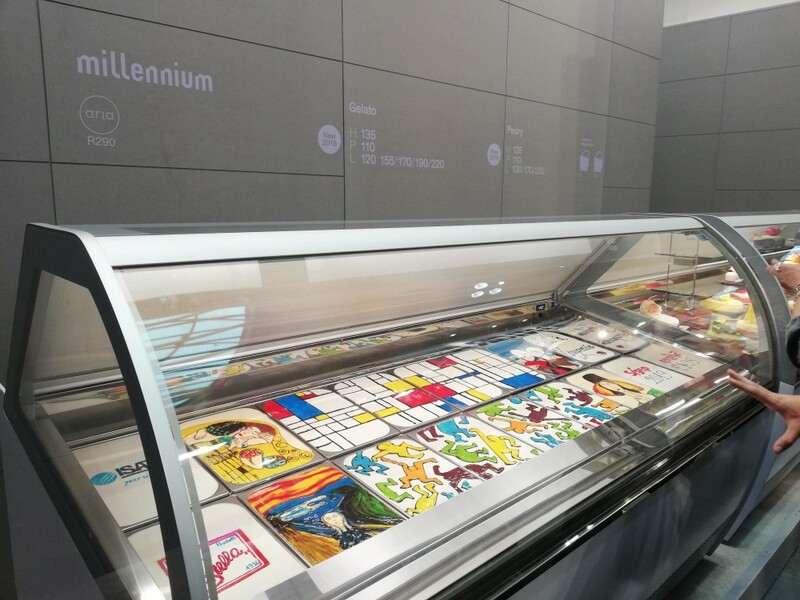 With our smart display cabinets, we can help our customer serve the perfect product which lives up to the Italian standards that consumers want to experience, no matter if the gelateria is located in New York, Shanghai or Rome,” says Stefano Menghini, R&D of ISA. “ISA's connected gelato cabinets exemplify how manufacturers can leverage connectivity to offer customers a more modern, automated product, while increasing aftermarket revenue and strengthening research and development for new products,” says Dean Woods, Chief Sales Officer at Telenor Connexion. Prior to publication, it must be approved by Telenor Connexion. Telenor Connexion, a leading provider of M2M and Internet of Things (IoT) solutions, has been recognized by Gartner, Inc. for the third consecutive year in the Magic Quadrant for Managed M2M Services, Worldwide. In this year’s report, Telenor Connexion has been recognized in Gartner’s Challengers quadrant. 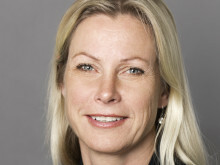 Internet of Things (IoT) supplier Telenor Connexion recently passed 10 million installed SIM cards. Following a rapid development over the last years Telenor ranks among the top 3 IoT operators in Europe and among the top 10 IoT operators in the world. Global IoT supplier Telenor Connexion will exhibit at Hannover Messe 2019 in Booth E53 in Hall 6. Live demonstrations of customer solutions will highlight how manufacturers and industrial integrators can quickly and profitably rollout Internet of Things (IoT) solutions. A number of partners and customers will also share advice for success with connectivity in Industry 4.0. In a series of informative presentations, Telenor Connexion team members will share strategies and best practices business can use to find success with connected products.